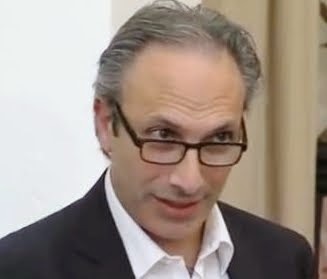 Development Horizons by Lawrence Haddad: Transparency, Tax, Trade and, er, Nutrition? The G8 summit on June 17-18 at the Lough Erne golf resort in Northern Ireland will focus on Transparency, Tax and Trade (TTT). The TTT agenda is core to the Golden Thread idea of the UK Prime Minister. The Golden Thread consists of "No conflict, access to markets, transparency, property rights, the rule of law, the absence of corruption, a free media, free and fair elections". What does any of this have to do with nutrition, which is the focus of a key pre-G8 event (June 8 in London)? By supporting such initiatives, governments would have to improve overall transparency performance, because malnutrition is such a big cross-sectoral issue. See here for a recent paper I wrote on this for the European Journal of Development Research. See also a nice piece from Molly Kinder at ONE and the excellent Development Initiatives report on nutrition spending. In many societies, tax collection and spending has a strong distributional aspect--both within generations and across them. Tax revenues are increasing throughout the world as economies grow and the capacity to collect tax improves. But as Nora Lustig's recent paper on Latin America shows, the commitment to make tax collection and spending progressive is uneven. By focusing tax spending on undernutrition reduction, tax becomes more progressive (the undernourished tend to be the poorest) and more intergenerationally responsible (tax revenues are converted into lifelong human capital for the next generation). In turn, infants who are prevented from being stunted are, as adults, much more likely to be employed, earn more, and generate more taxes. For the natural resource rich countries, turning revenues into a sustainable driver of growth for an economy is a real challenge--linking natural resource endowments to future human resource endowments is a vote winner and equips the economy for the long haul. See a background paper here pulling together studies on the economic case for nutrition. Trade and nutrition represent a very complex set of interactions. Free trade is rarely fair. In an apolitical world, with a predictable climate, predictable pest infestation patterns and where markets worked perfectly it makes sense to have fewer food production sites. But in an increasingly uncertain real world, where markets, where they exist, work with lots of friction, diversity is key and we need multiple bread basket food production sites. Trade can be an important facilitator of food security but not something to rely completely on. What does this have to do with nutrition? Global value chains are an important vehicle for trade and the way they are governed, the strategic choices around foods and markets can have a big impact on nutrition. My IDS colleagues, John Humphrey and Spencer Henson are doing some interesting work with Bonnie McClafferty at GAIN supported by USAID to try to enhance the nutrition impact of value chains (DFID is supporting studies for a different set of countries). See this recent paper. I love the above picture (email readers, rouse yourselves to look at the website). 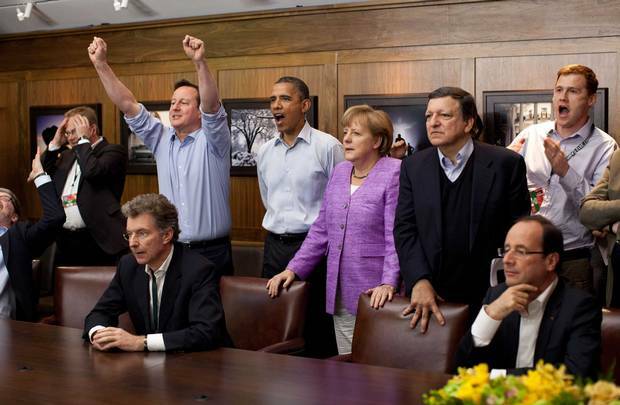 We need the G8 leaders to get as excited about nutrition as they were about football during the Camp David G8 (the 2012 Champions league final was on at the same time--I think Angela Merkel will have more to cheer about this time with Munich and Dortmund). Keeping with the sports theme, the G8 leaders could use the nutrition driver to get around the G8 golf course in a record score. Hillary Rodham Clinton in a speech made when she was US Secretary of State said that the way to measure a country's development was to count its malnourished children not its military weapons.